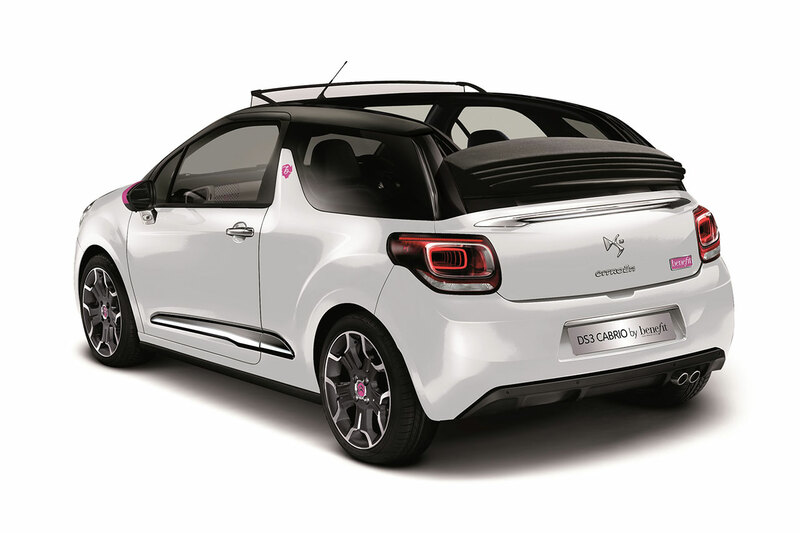 DS 3 Cabrio DStyle by Benefit, the fourth DS 3 special edition designed in collaboration with Benefit Cosmetics, has been unveiled. 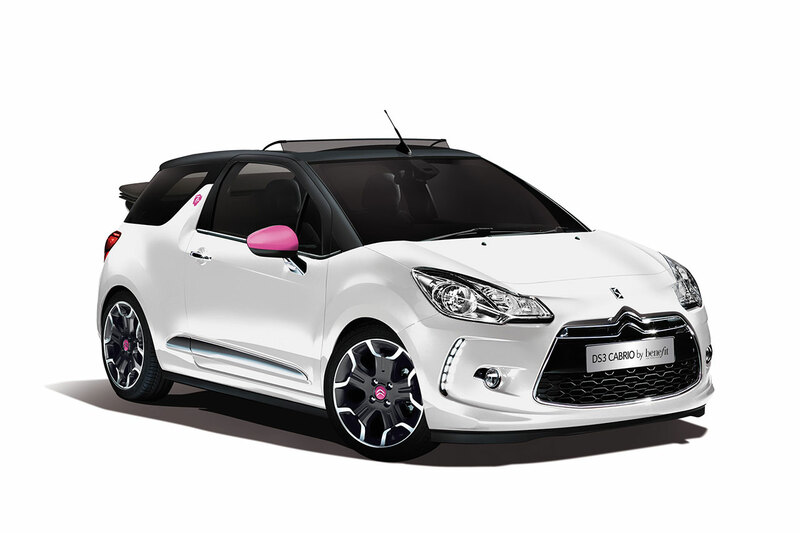 On sale from 1 August and priced at £18,745 OTR, DS 3 Cabrio DStyle by Benefit features design cues inspired by ‘Stay Flawless’ – Benefit’s favourite primer that keeps foundation looking flawless for up to 15 hours. 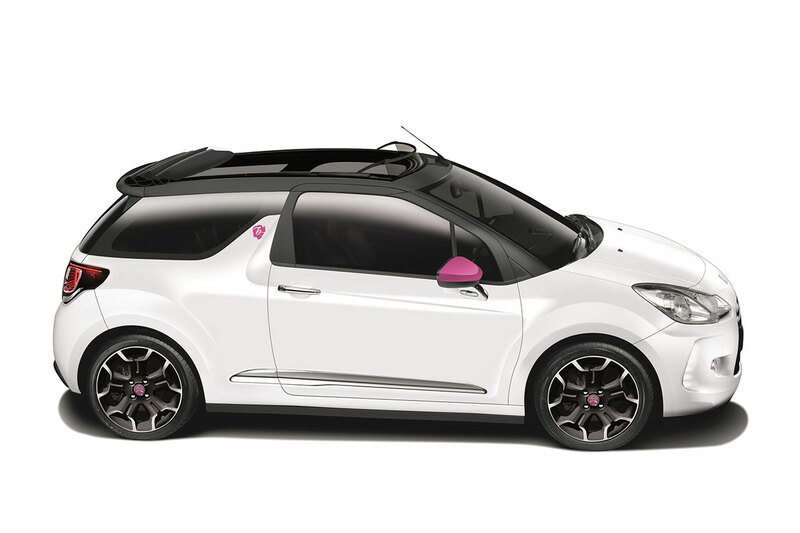 Buyers will also be able to take full advantage of the summer sunshine with DS 3 Cabrio’s folding fabric roof, which can be opened or closed at motorway speeds. 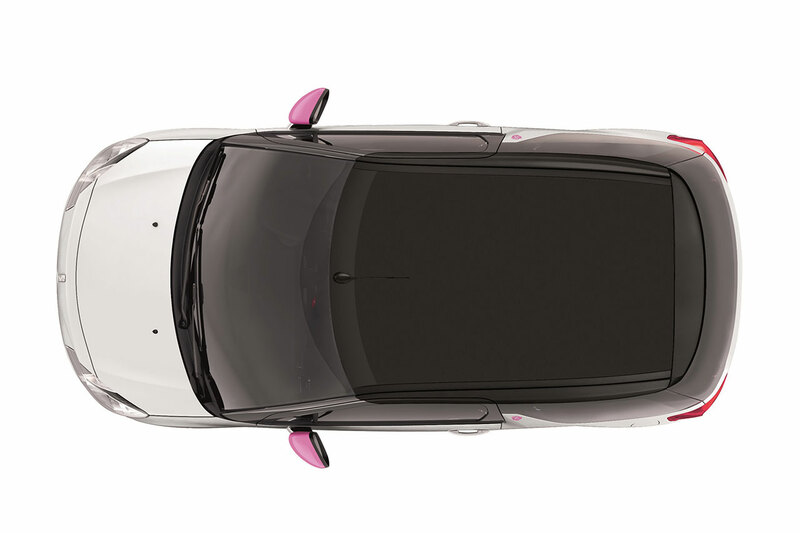 Externally, the model features a Polar White body, with a black fabric roof and Fuchsia Pink touches to the door mirrors and wheel centre caps. There is a ‘Gabbi’s Head’ logo on the ‘Shark Fin’ B-Pillars and a Benefit badge on the rear, also in Fuchsia Pink. The ‘Stay Flawless’ theme continues inside, featuring bespoke black velour floor mats with Fuchsia edging and an embroidered Fuchsia Benefit logo. The dashboard, air vent surrounds and gear stick cap are finished in gloss white trim, with Benefit’s trademark ‘Stay Flawless’ black and white polka dot design on the upper part of the dashboard. 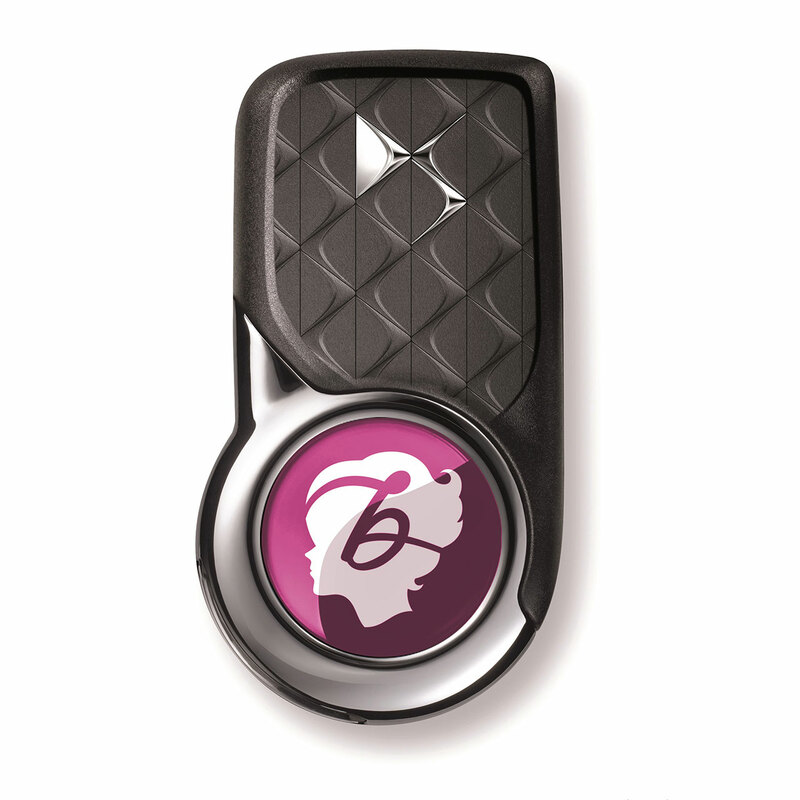 The key fob also features the ‘Gabbi’s head’ logo, with a Fuchsia Pink insert. A special Benefit Beauty Bag will be delivered to the new owner, containing Benefit’s favourite makeup products, including ‘Stay Flawless’ primer.